which grows and shrinks at steady pace. in orbit 'round our globe." This early passage in Faces of the Moon by Bob Crelin and illustrated by Leslie Evans sets the tone of this children's book. The first part of the book explains the phases of the moon in rhyme while diecut page tabs and diecut moon in the middle of each illustration walk readers through the progression of moon phases. As the "first stepping stone toward discovering our universe," the author explains in educational text in the back of the book how the earth, moon and sun orbit each other in plain language. He also includes some "Moon Memo-Rhymes", short, rhyming memory aids to remember key facts about the moon and its phases. 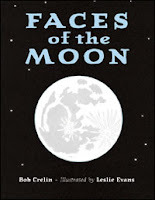 This is a terrific book with which to introduce children to basic facts about the moon that will reinforce their own observations in the long tradition of sky watchers and astronomers. Amelia Bedelia, the beloved adult character from the 14 Amelia Bedelia stories by Peggy Parish has reappeared in this story by Ms. Parrish's nephew, Herman Parish. It is illustrated by Lynne Avril. 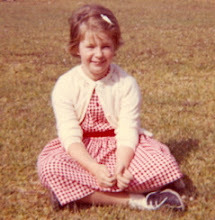 In this prequel, we find Amelia at her first day of school. All of the characteristics that make Amelia Bedelia entertaining as an adult who takes things a bit too literally are on display here. From this story we are to assume that Amelia's silliness as an adult was part of her personality from the beginning. At last it was time for lunch. "Do you feel like a sloppy joe?" asked the lady behind the lunch counter. "No!" said Amelia Bedelia. "Do I look like one?" "Here you are," said the lady. "I hope your eyes aren't bigger than your stomach." "Me too," said Amelia Bedelia. "They would not fit in my head." As in all the Amelia Bedelia stories, Amelia enjoys great adventures while learning something new and demonstrating to readers that there is more than one way to interpret something. This story takes the familiar first-day-of-school confusion and turns it on its head. A very fun read. Shop Green and Support Independent Bookstores! The latest video from the Regulator Bookshop in Durham, NC, is a fabulous 1940s era newsreel expose on the "green" difference between buying local and buying from mega online retailers. It's creative, clever, and compelling.